Urs Heckmann just combined “reverb” with “experimental, possibly sonically unstable plug-in with unpredictable results.” And it’s free. Urs – how did you know exactly what I wanted for Christmas? 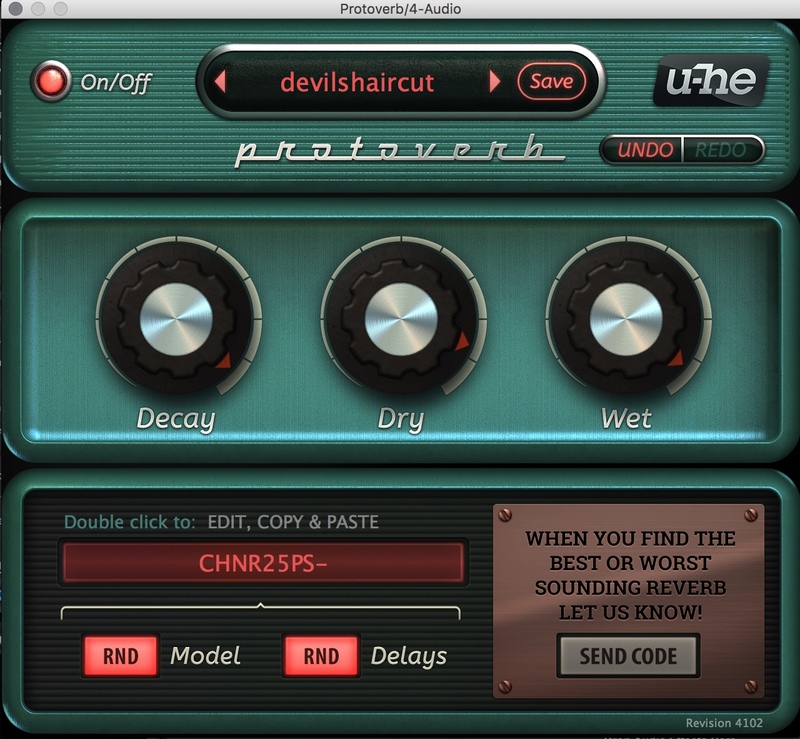 Protoverb is an “experimental” reverb from u-he built around the idea of modeling series of resonances and reflections in a room. In my play so far, I’ve found distinct memories echo clearly (“ghost echoes,” as the developers put it), while richer ambiences create strange, beautiful ringing sounds. The reason reverbs generally aren’t built this way is that the results can be unexpected or even unpleasant – but that’s what makes this such fun. Even a single parameter can produce a broad range as you adjust wet/dry feedback. And by adjusting other settings, you can produce sounds ranging from artificial to realistic to … awful. In fact, while this is a digital reverb in the conventional sense (a bunch of delays), it uses a combination of parallel, serial, and networked delays that turn it into an uncertainty mechanism. Editing the number itself is something you can control. Beyond that, if you like just hitting “I feel lucky” with your reverb and having no idea what will happen next, you’ve come to the right place. It’s magic. Randomize that string, and you get … well, something different. If you like it, hit save. If you don’t, delete. I do actually plan to build a little collection of these. In fact, u-he have made this free precisely with the hope of people sharing their results. A ‘send’ button uploads your favorites to the u-he mothership to see if they can make sense of this strange delay network by crowd-sourcing the results. It’s like the protein folding or SETI experiments, but for reverb. You can grab this now for Mac (AAX, AU, VST2), Windows (AAX, VST2), and Linux (VST2 only unfortunately, but no complaints). From Suono & Computer, there’s yet another play with the plug-in (and now you’re seeing how varied the results can be). Let us know if you produce anything interesting!